Giles Barnes admits former West Bromwich Albion defender Darren Moore convinced him about moving to the Hawthorns. Moore urged the youngster to take up the Baggies' offer of a rehabilitation programme with a possible contract to follow. "I spoke to him before I came here and when I signed and he gave the club rave reviews," Barnes told the Express & Star. "He said it would be really good for me here and he was completely right. "From the minute I walked through the doors I have felt welcome and I still feel settled now. "He said it was a really good club to go to and he spoke about how much he loved his time here as well. I knew how big he was here before he came to Derby, but he is a hero there now as well, not just on the pitch but off it as well. "I still speak to him pretty regularly. I know I can ring him at any time and at any place, regardless of whether I haven't spoken to him for a day, a week or a year. "He would always give me advice if ever I needed it and if I said I wanted to do something and he could help me he would be there. He is a man that touches everyone's heart." 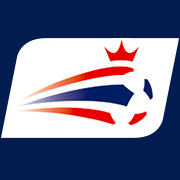 Click here for the best West Bromwich Albion coverage on the 'net. All your Baggies news and gossip in one spot.